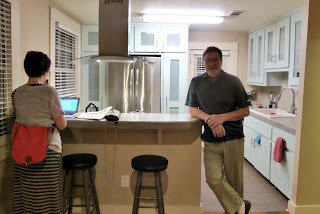 One of the great joy's of the RV lifestyle is catching up with far-flung family. 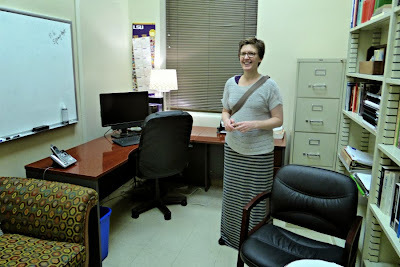 My niece, Rachel, is a lecturer at Louisana State Universuty in Baton Rouge. So we stopped there for two days to visit with her. 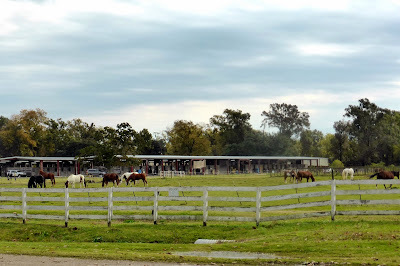 We stayed in a interesting RV Park associated with an Equestrian Center not far from the university. The view from our front window was endlessly entertaining. 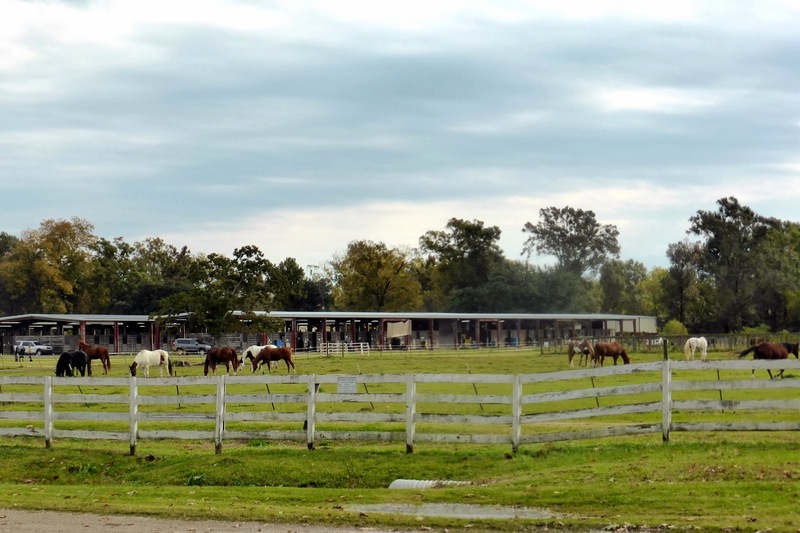 We were told we could only stay for two days because the LSU football Tigers were playing at home on the coming Saturday and they were fully booked for the weekend. Americans love their university football! 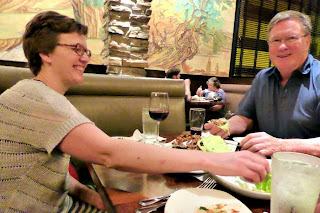 We went out to dinner at a restaurant called PF Changs. An American chain that I don't think has made it to Canada yet. They bill themselves as a China Bistro and the food was interesting and delicious. We settled in and ordered. Then interesting things started to happen. First Arch was served an appetizer that did not look anything like what he expected when he ordered. But he decided to eat it anyway. 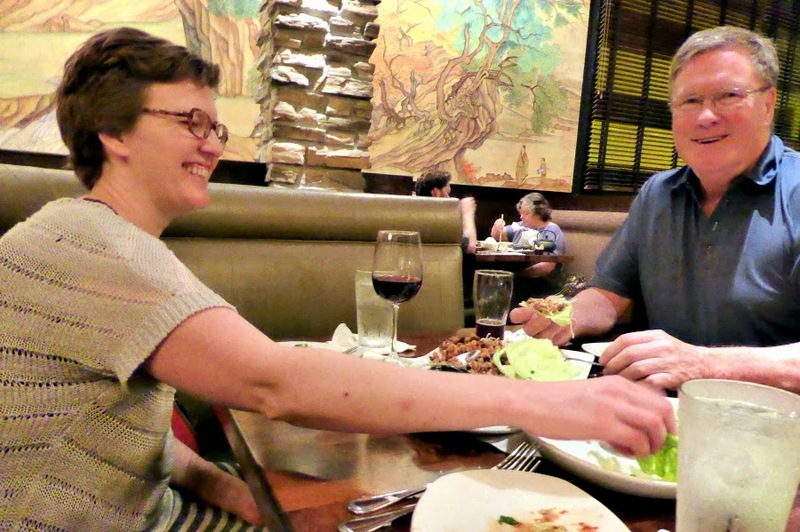 Then the food we ordered showed up – including the dish Arch had ordered. So we called the waiter over and told her that they had made a mistake and served him someone elses food. 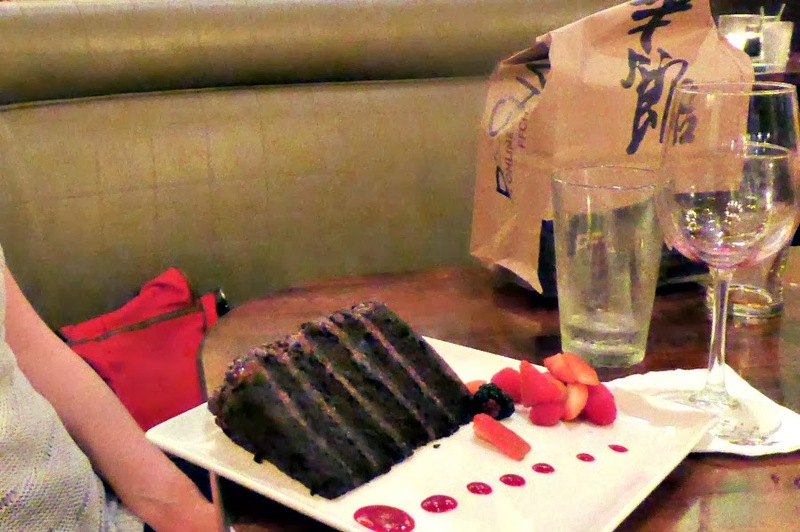 And he had eaten it. “Oh no” she said. “That was an extra dish that the kitchen made by mistake so I served it to you as something to nibble on while you waited.” Great. A short time later a server showed up with a delicious looking shrimp dish. 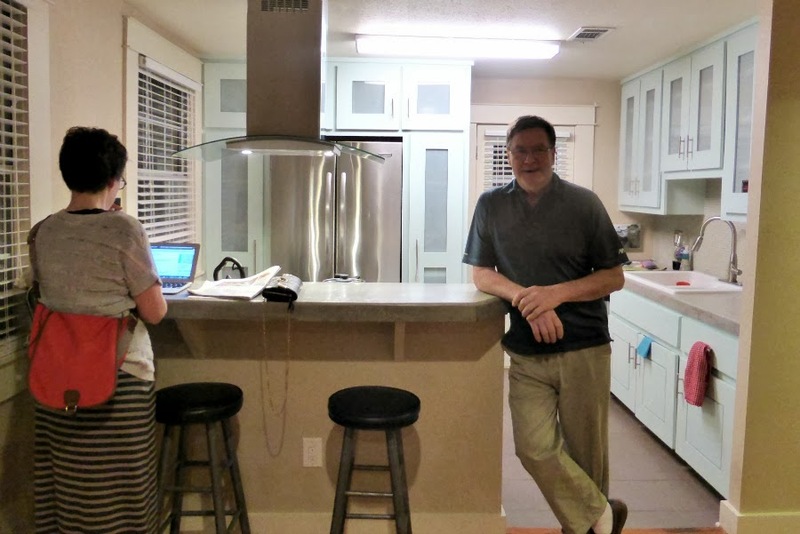 The kitchen made another mistake – would we like it? Sure, we are not idiots. Then a very charming young man dropped over to say hi. Turns our he was one of Rachel's students who worked at the restaurant. He saw us come in but this was his first chance to stop by. Ahhh, that explains why all the extra food was arriving at our table. While we were waiting for the Great Wall of Chocolate to arrive Rachel's student arrived with another kitchen “mistake” - Tiramisu . By then we were ready for “doggy bag”. I think we should drop in and go out for dinner with Rachel more often. Gee, what wonderful "mistakes:)" Yum!! Lucky you!